If you haven’t yet, head over to WRAL for an in-depth exploration of N.C. Superintendent of Public Instruction Mark Johnson’s emails and texts in the days before more than 20,000 teachers and K-12 advocates swarmed Raleigh last month. Of course, it’s not unusual for a public official in Johnson’s position to huddle with P.R. advisers to prepare a response to a major political event like this. But the top public school administrator rankled some when he opted last month to speak out against the protest and spent the day reportedly visiting schools more than 100 miles away in Craven County. The event, which was led by public school advocates in the N.C. Association of Educators, forced 42 of the state’s 115 school districts to close as teachers headed to Raleigh. It was an unprecedented gathering, which directed blistering criticism at mostly Republican leaders in the state legislature over a decade of waning state funding. The records revealed he received both praise and criticism from the public for his decision not to attend the rally. Some thanked him for refusing to support an event that “hurts the kids and has caused undue hardship,” while others viewed his refusal to participate as a “lack of support” for teachers. The superintendent did not respond to all emails from the public. But when he did, he promised to listen, even to those he disagreed with, and shared a list of his top education priorities, including more literacy support for students and reducing over-testing. Johnson and his staff watched closely as school districts across the state began announcing they would close May 16 due to teachers’ requests to take a personal day to attend the rally. Durham canceled first and was quickly followed by Chapel Hill-Carrboro and Charlotte-Mecklenburg schools. Over several days, the superintendent and his team work-shopped potential comments to send to the media. Johnson’s first draft, which included a reference to “partisan tactics,” was soon shortened and softened. 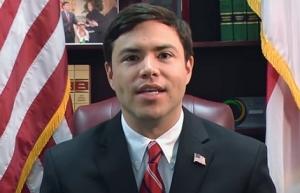 Drew Elliot, communications director for the North Carolina Department of Public Instruction, was one of three advisers helping Johnson craft a statement and work on messaging about the rally. The superintendent also sought help from Graham Wilson, his community outreach coordinator, and Jonathan Felts, who chaired his transition committee after the election and occasionally helps with political messaging on a volunteer basis. The superintendent couldn’t delay responding much longer. Reporters gathered at an event in Winston-Salem on May 7, where Johnson was announcing a new literacy initiative, were the first to question him publicly about the teacher rally. “I do not plan to attend a protest on a school day,” Johnson said, explaining that he “absolutely” supports teachers but that the protest would affect others, including school workers and parents. Previous PostFormer GOP Supreme Court Justice: NC should reject voter ID requirementNext Post Report: How might the U.S. Supreme Court rule on partisan gerrymandering?